As a teenager, there are so many things that one doesn’t appreciate. 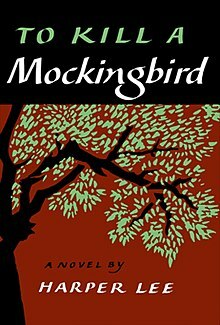 My ninth grade Honors English teacher assigned the book, To Kill a Mockingbird, as part of our reading for the year, and we didn’t question it. I wondered who this man, Harper Lee, was and what sort of book this dead man had written. While my teacher, Mrs. Kraft, quickly corrected our wrong assumption about Harper Lee’s gender, she didn’t mention that the authoress was still alive. It was a small oversight, and being teenagers, we were either too disinterested or too lazy to care. I ended up loving the book so much that I read it a couple more times throughout my life. Fast forward to the release of Go Set a Watchman. By then I was writing and seeking publication, and if there is one thing I’ve learned as a writer it’s that I would never want my first draft of anything published for the entire world to read. The idea was horrifying, and since I had heard that Go Set a Watchman was Harper Lee’s first draft, I refused to read it in honor of her. Still, the point I made at the beginning of this post didn’t hit home with me. It wasn’t until I read Charles J. Shields’s Mockingbird: a Portrait of Harper Lee that one particular fact become apparent. Harper Lee had still been alive in 1984 when I read her iconic novel for the first time. At least this time I had a better understanding of who she was and how much of herself and her life she had written into her novel. I’ll provide you with my impressions of Nelle Harper Lee rather than bore you with facts. At first I wasn’t sure I liked this brash person who didn’t seem to recognize or understand boundaries in other people’s lives. In situations where most people would be embarrassed by such behavior, it appeared that Nelle didn’t have the good sense to be ashamed. What I thought of as her complete lack of social skills made me wonder if she was autistic, and I absolutely do not say that as a thoughtless insult. On the contrary, Nelle’s haphazard navigation of life touched my mother’s heart, and I wondered if she had anyone who truly understood her. Adding to my concern was Nelle’s mother’s mental illness, and I wondered if the lack of maternal guidance toward her late-in-life daughter also affected the formation of Nelle’s personality. Alice Lee, the oldest sibling, and A. C. Lee, Nelle’s father, certainly filled any void in her life. According to Shields’s account, they presented a resilient style of parenting that I don’t believe the sensitive artist within Nelle was strong enough to withstand. Support for her chosen career came reluctantly, and only after her success with To Kill a Mockingbird did they come on board. Then the pendulum would swing in the other direction, and a soft, caring Nelle appeared. She was still outspoken but also attentive to other people often to her own detriment. Her close friend, Truman Capote, benefited the most from this side of Nelle. He took advantage of her gentle nature when he employed her as his “assistant researchist” during the writing of In Cold Blood. A bare mention that had to be shared with Capote’s lover was all Nelle received for the extensive work she did. Along with Capote badmouthing Nelle on several occasions and his obvious envy of her success, it’s no wonder their relationship became strained. I believe the pressure to live up to the success of To Kill a Mockingbird overwhelmed Nelle. I also believe that as much as she wanted to be a writer, she only had one novel in her, and this is absolutely fine. She could have been quite happy for years writing articles for newspapers or short stories for magazines, and if the idea for a novel came along, she could have penned it free from the burden of living up to her prior achievement. But the public and her family wanted more. The public wanted another book they could sink their teeth into, and for some reason I never truly understood, her family wanted her back home in Alabama at least six months out of the year. The tug of war on Nelle, both internally and externally, did little to encourage her writing. A second novel never came to light, and after ten years the bloom of her success from To Kill a Mockingbird had faded. For the remainder of her life, Nelle viciously guarded her novel and characters, not so much as allowing a cookbook named after Calpurnia to be published. She basked in the waning glow of her novel, occasionally enjoying a resurgence of celebrity with anniversaries of the novel or when someone wrote an article about her or her famous book. Otherwise, she led a reclusive life to the degree that no one could ever convince me she wanted or approved the publication of Go Set a Watchman. So do I have a clearer picture of Harper Lee? Actually, without her memoirs or at least a book of her personal correspondence, I’m left with more questions. I would have loved to speak with her, to wrestle her out of her insecurities, or at least understand where she was coming from. I believe we could have been friends. 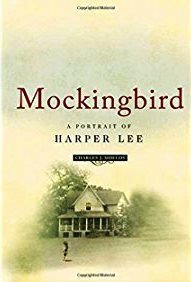 The copy of Mockingbird: a Portrait of Harper Lee that I read was published prior to Nelle Harper Lee’s death. I do not know how the revised and updated copy reads, or whether it supplies further insight into the authoress or the publication of Go Set a Watchman. Quite frankly, I enjoy the mystique surrounding this simple woman, and I don’t feel as if I need to know more.